Take highway 101 to the west until you get to the Sol Duc Hot Springs entrance to Olympic National Park. Go south off the highway until you come to the parking lot. Take the train to Sol Duc falls and you will come to this stream about .25 miles before you get to the falls. Go when it is raining everything looks so much better. Take your rain gear for you and your gear as you will need them. 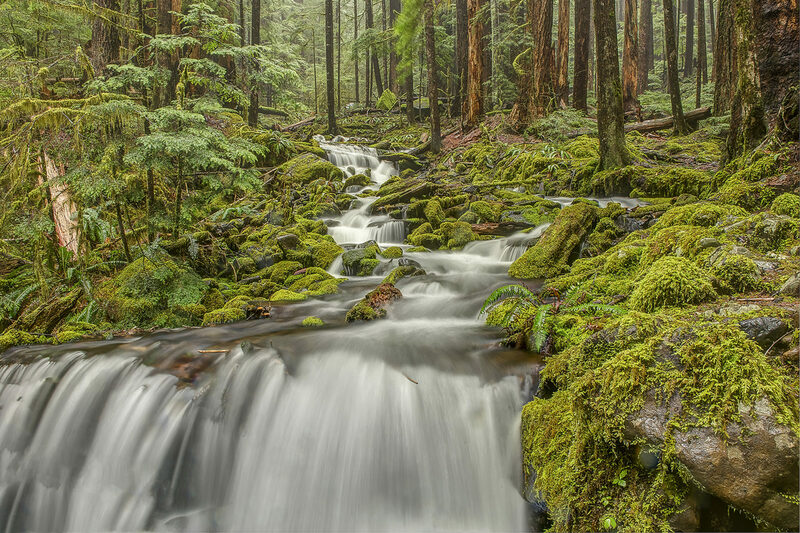 During the spring rains the Olympic National Park streams run full speed. With colors and natural textures of the forrest are fabulous when everything is wet from the rain. Keeping your gear dry is the biggest challenge.